Divide crushed graham crackers between 4 dessert cups. In a large bowl using a hand mixer, whip cream cheese until light and fluffy. Add powdered sugar, lemon juice, and salt and beat until combined. Fold in 1 cup whipped topping. Pipe cream cheese mixture into cups and place in refrigerator until thickened, 1 hour up to overnight. 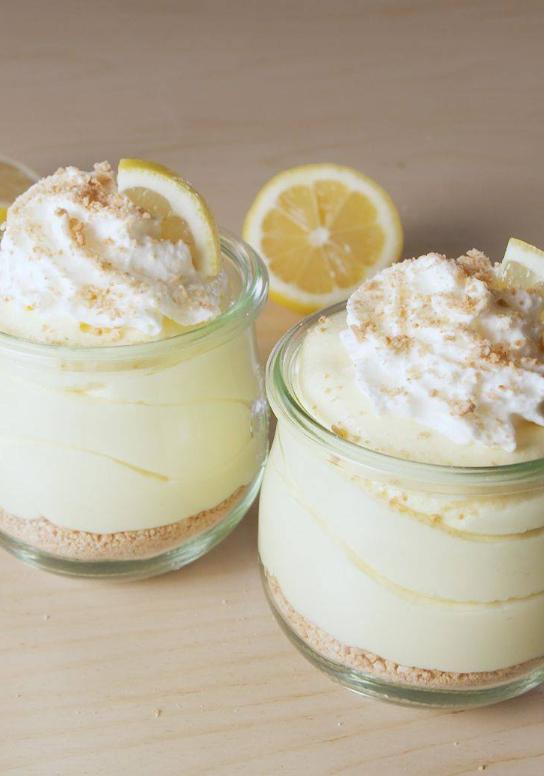 When ready to serve, top with remaining whipped topping and garnish with crushed graham crackers and lemon wedges.